Soompi continues to publish translations of each day's newest Switch articles. This time they published the new article with Jang Keun Suk dressed as a indie band musician. SBS’s upcoming drama “Switch” released stills of Jang Geun Suk fully transformed into a guitarist of an indie band. In the drama, Jang Geun Suk plays the role of Sa Do Chan, a genius swindler who fails to become a prosecutor. The photos show him disguised as a typical street musician, holding a black guitar case and wearing a leather jacket with his hair dyed brown. As Sa Do Chan confronts someone on the street, he looks disapproving at first and then appears to be fully angry, opening his eyes wide and diving into a heated argument. The scene was filmed on March 6 in Hongdae, which is an area famous for its street musicians. 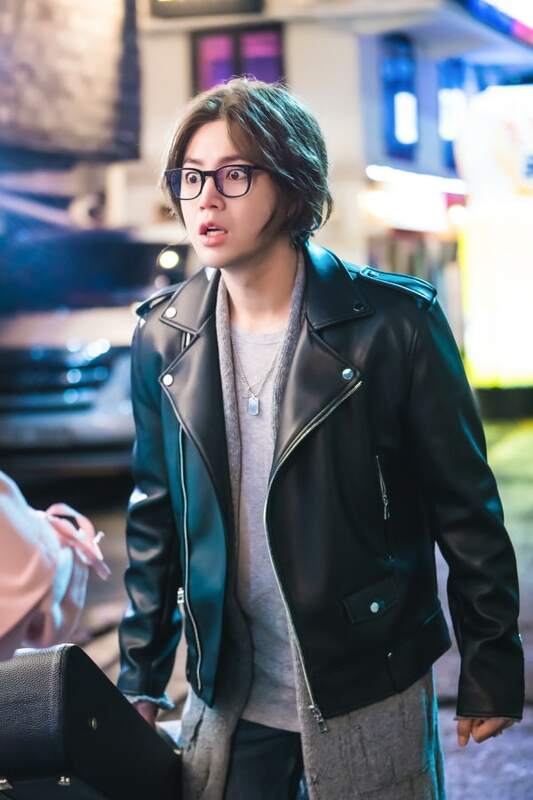 Jang Geun Suk came to set wearing horn-rimmed glasses and typical hippie-style clothes that Korean indie band members often wear. His readiness was received with cheers from the production staff. Jang Geun Suk has been boosting the staff’s energy with his constant smiles and bright attitude despite the pressure of having to embody different personalities each recording due to his con-man character. He also monitors and reviews every scene in detail before moving on to prepare himself for the following scene. “Switch” premieres on March 28 at 10 p.m KST.